The Apple Store has gone down just hours before Apple's education-centric event today, which will be held at the Lane Technical College Prep High School in Chicago. We all know what this means - Apple will most certainly update its lineup and possibly readjust the pricing of some of its existing products. 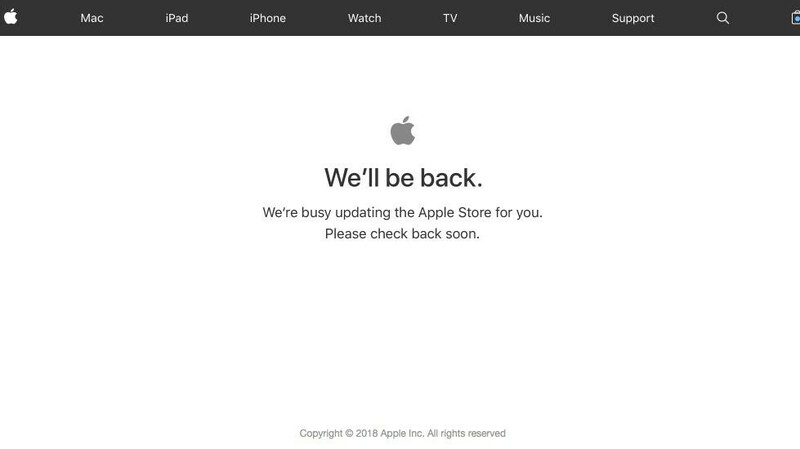 What's more, the Apple Store being down also strongly suggest that a new gadget could be announced, and we believe cheaper iPads intended for the education system might be coming our way. Have in mind that the March 27 Apple event sadly won't be livestreamed, so your best bet to stay in the loop is to stick around and check our coverage of the event. We've summarized out expectations about the upcoming Apple event in the article right below. What no live stream! :(. Man hope you guys run a live blog! I hope we would come back to see nice things. I'll be watching PhoneArena for updates. Yeah I know what it means....they are hiking their prices up again! !